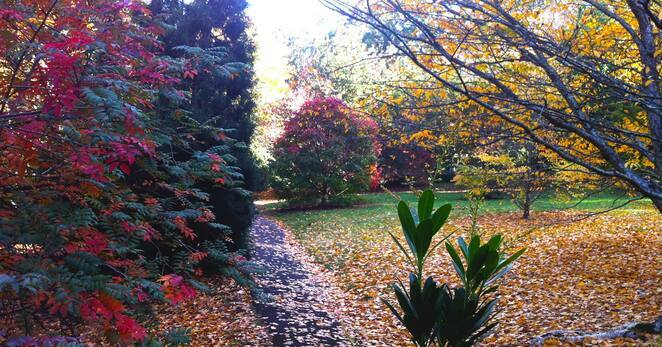 A few of our free-to-visit Parks Victoria parks have deciduous European trees and visiting them in autumn is a joy. The yellows, oranges and reds are stunning, the sun is still shining but it is cool enough to go walking and photographing autumnal hues is a joyful way to spend a day. Children, of course, love to kick up the leaves and frolic through the beautiful autumn coloured landscape. It is one of the joys of childhood. So here are some great parks to visit during autumn. Parks Victoria National Rhododendron Garden. Head for the hills. 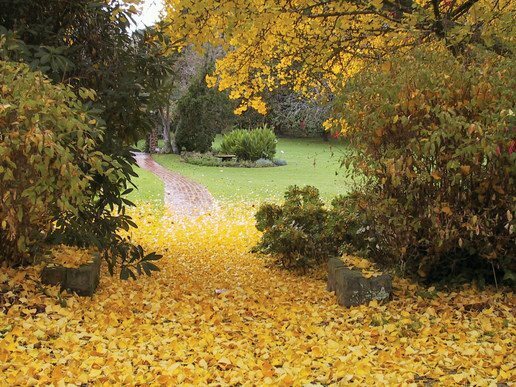 There are seven beautiful gardens in the Dandenong Ranges managed by Parks Victoria and each garden features stunning Autumn colours set amongst the picturesque hills and stunning views of the Dandenong Ranges. Such gardens are less than an hour drive from the Melbourne CBD, free of charge and open every day. 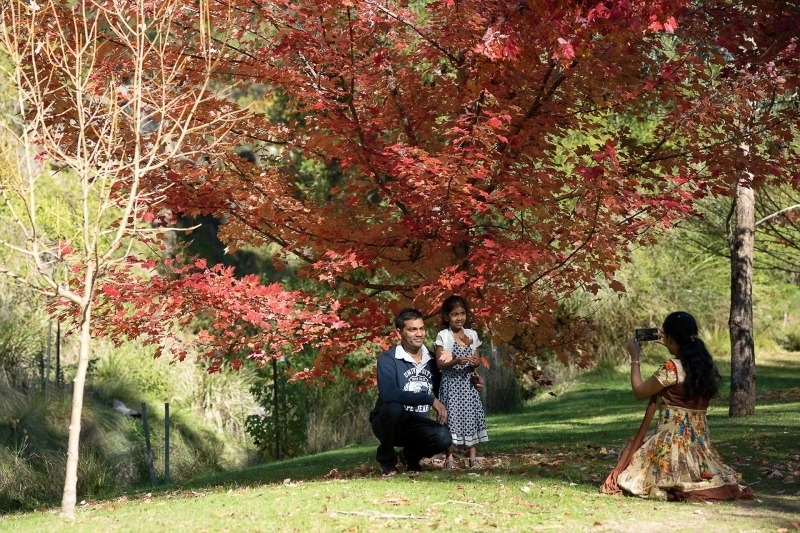 The most spectacular to visit at this time of year are Dandenong Ranges Botanic Garden, Alfred Nicholas Gardens, George Tindale Memorial Garden and RJ Hamer Arboretum. For a lovely list of autumn colour in the Dandenong Ranges. Click here. 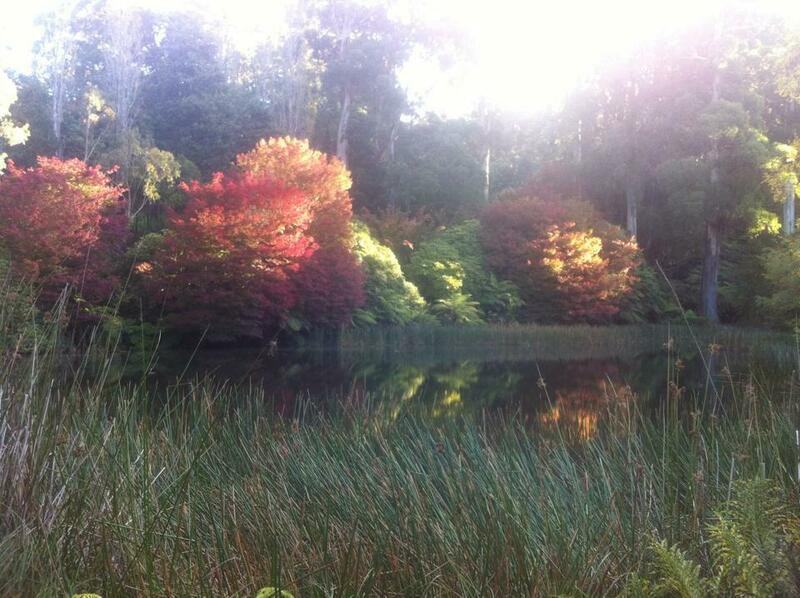 Autumn in Pirianda Gardens in the Dandenong Ranges. Facebook. Parks Victoria thank Ranger Tex for the photo. Please note for those who would like to take in the views without the hike there is a shuttle service through the stunning Dandenong Ranges Botanic Garden. Click here. The Buchan Caves Reserve, 360km east of Melbourne, is nestled in a valley full of towering colourful European trees. Enjoy the beautiful picnic areas, pitch a tent in the well-serviced campground. The famous caves are there. This is somewhere you should really put on your must-see list. For further information, click here. There is a swimming pool but the water comes from the deep underground and even on a hot summer's day the icy temperature of the water will take your breath away. Source Facebook Parks Victoria- Come and see the beautiful late Autumn colour at Vaughan Springs in the Castlemaine Diggings National Heritage Park. Camp overnight, enjoy a picnic or take a stroll along the Loddon River. Vaughan Springs was formerly a large gold rush township called 'The Junction'. It became a favoured alluvial gold and market gardening locality for Chinese miners. 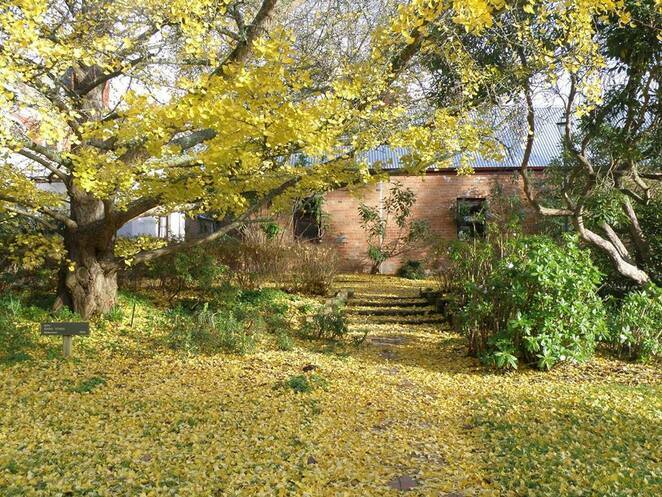 Just 15 minutes from Castlemaine, this little known park is a beautiful place to enjoy nature and history. Kids can ride on the giant slide, skim rocks along the river or walk part of the Goldfields Track. It is a good place to sample the mineral water the region is famous for and you can stroll along the Loddon River. Camping is available at the Upper Terrace Campground, a short distance from the day-visitor area. Just over an hour from Melbourne's CBD, Coolart's historic mansion is set in a delightful garden with wetlands, woodlands and pasture nearby. 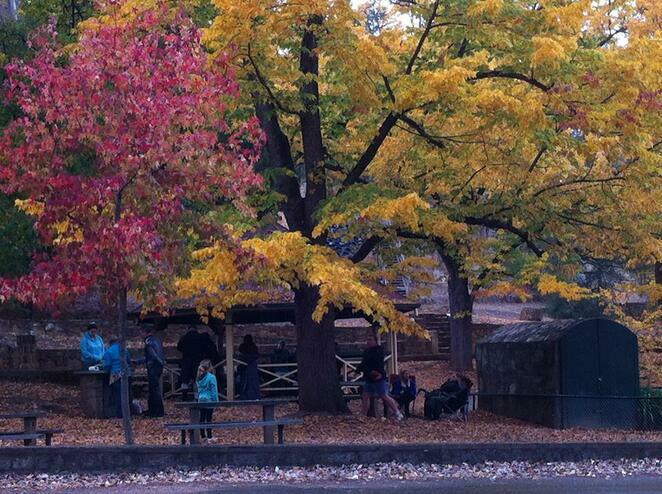 Enjoy a walk or picnic on the homestead lawns among the autumn leaves. For more information click here. Please note: Coolart's historic homestead will be closed from 4 February to 30 May 2019 for major renovation work. Walking tracks, bird hides, garden, barbeque area, toilets will be open as usual. Here you can enjoy a network of walking tracks through formal gardens and native bush. Spectacular views over Port Phillip Bay and sculptures in the garden make this an iconic spot to visit. 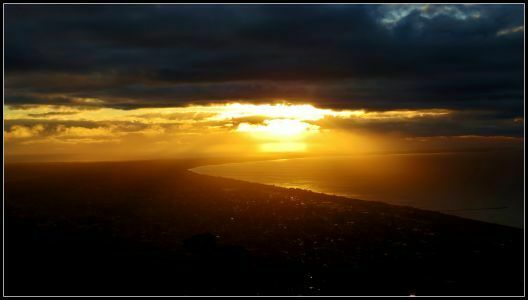 The 34-hectare Seawinds Gardens lie within Arthurs Seat State Park on the Mornington Peninsula, one hour and 15 minutes from Melbourne. For some other great suggestions, click here. I love your suggestions, Nadine! I must check out Coolart - haven't been there before.